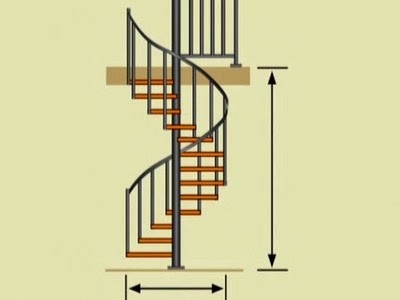 If you have enough experience to design from scratch, then analyze the installation of stairs using a ready set. 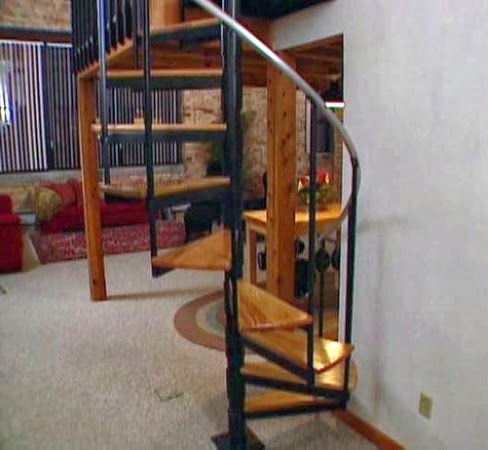 Step 1: Purchase a spiral staircase . Before starting work, make consulting the building codes in your area, that this type of stairs allowed for installation. 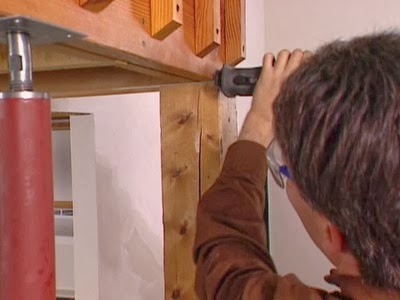 Make a standard set of stairs or already assembled and ready to install. 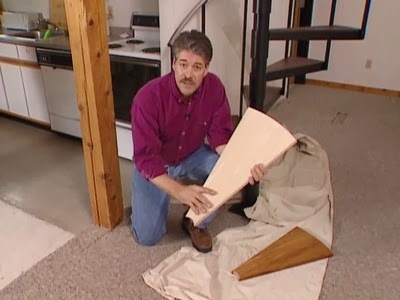 Remember that pre-assembled stairs need a large doorway. They come from a variety of materials and is typically up to 3 meters in height. Ordering a set standard for the spiral staircase, measure the distance from floor to roof and decide the appropriate diameter. Check all parts and instructions for assembly. Read the instructions carefully. Step 2: Remove the old stairs . 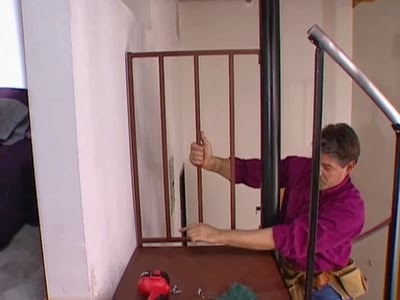 Gradually dismantle existing old ladder, starting from the racks railing. If you have trouble removing any elements , you can cutting. Be careful when removing the support beams, they are the biggest and heaviest component design. Step 3: repair the wall . Virtually impossible to remove the ladder without damaging the wall to some extent. Repair it using drywall, reinforcing mesh and cement seam for serious injury or putty for less severe injuries. Step 4: Paint the wall . Now, while the new staircase has not been established, but the wall is not cluttered, it's time to paint the wall equal color. Step 5: Move the pillars . You can move the pillars, if your design requires this spiral staircase. 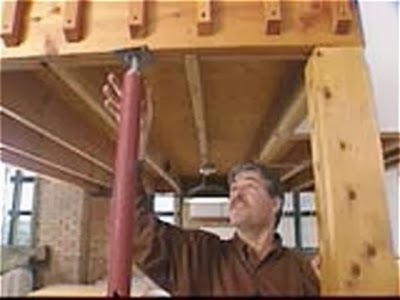 Use temporary supports to maintain the platform (picture 1) until you remove the beam from the upper corner of the room. 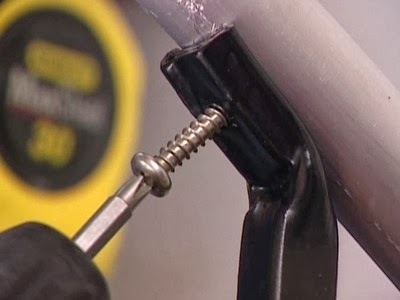 Use electroshock to cut nails , hammered angled support arm (picture 2), and then lift the upper room. Now you can move the pillars where you want. Seal the hole on the floor transoms, if necessary. Remove the temporary support. Step 6: build stairs . Follow manufacturer's instructions for assembly of the stairs. Most manufacturers offer attach the top landing and steps on the central support and then raise support and set to the desired position. Attach the upper platform, and then secure the lower part of the carrier support. Stage is set each other up and down. It is important to ensure that all steps are smooth, and bearing pad and vertical balusters. Step 7: Attaching railing . Pre-drill holes (if aluminum railing) and attach them with screws with flat conical head (picture 1). Install the upper railing (picture 2). Cut off excess curved handrail grind place trimming using abrasive sponge and put the lid on. Step 8: Set the speed . Stage usually come unfinished. Paint them like the decor of the room. Each layer of polyurethane requires approximately 8 hours to dry, so you should do it in advance. Follow manufacturer's instructions for installing them.